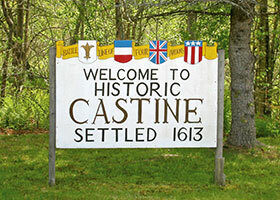 Directions to the Castine Inn offering quality lodging in historic Castine Maine on the Maine Coast near Acadia National Park and Mount Desert Island. Merge onto I-295 N via exit 44 toward South Portland/Portland Downtown. I-295 N becomes I-95 North. Merge onto Route 3 via exit 113. Continue to follow ME-3 North to Belfast. Merge onto US-1 N/ME-3 North via the ramp on the left. In Bucksport, turn right on ME-166/Castine Road. Turn Right onto Battle Avenue. Continue straight after the stop sign. 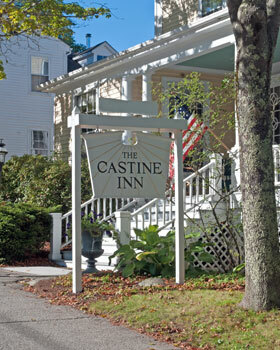 The Castine Inn at 33 Main Street is on the left hand side.